Prepare Kraft Deluxe Velveeta in large saucepan as directed on package. 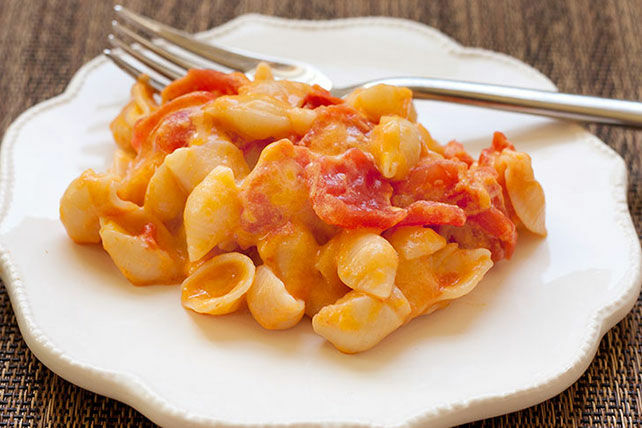 Stir in tomatoes, cheese and garlic powder; cook 5 min. or until heated through, stirring occasionally. Prepare using your favourite Cracker Barrel Shredded Cheese.